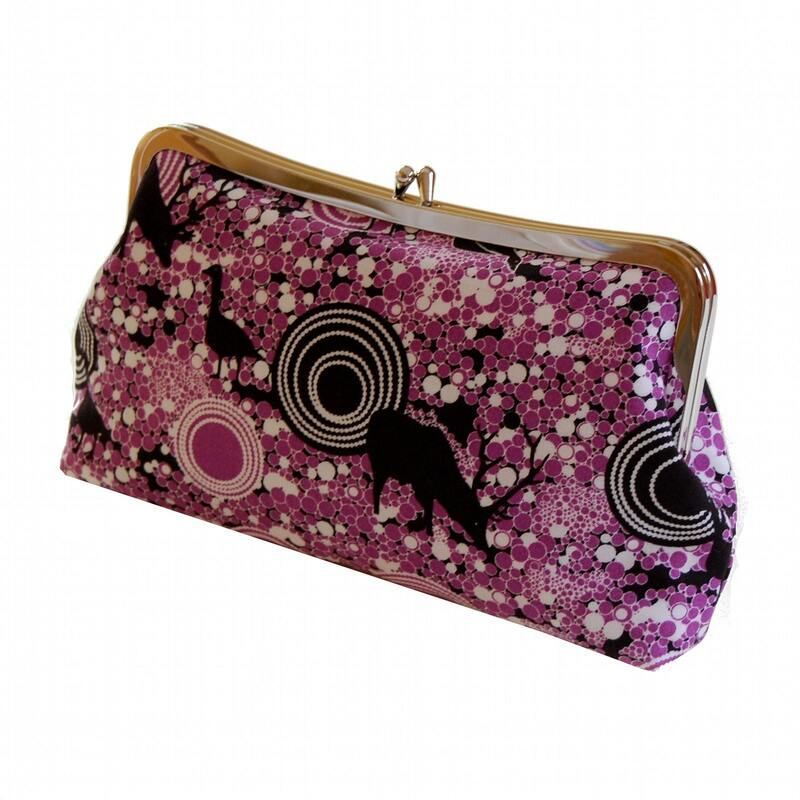 This purple clutch purse is the perfect everyday bag. It has a casual style, but its bold colors make this small purple handbag extraordinarily eye-catching. 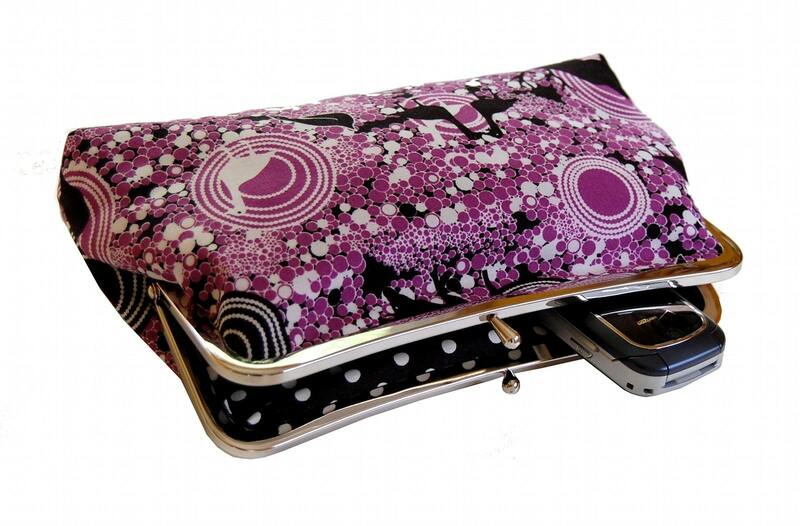 This purple metal frame purse will quickly become your favorite accessory! 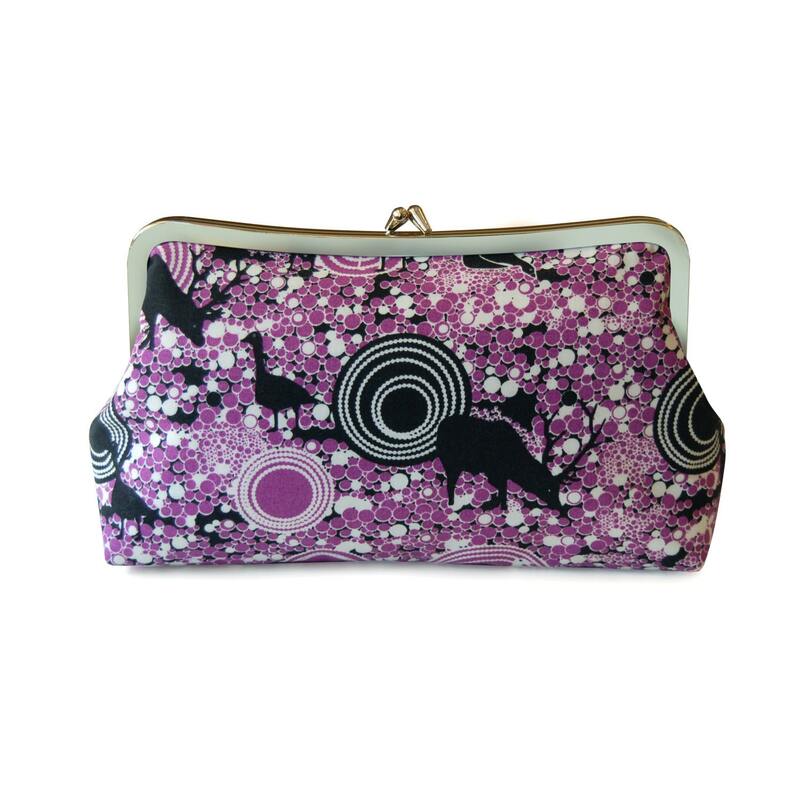 The fabric on this handmade purple fabric clutch was designed by an independent designer from Australia, so it is truly one-of-a-kind. 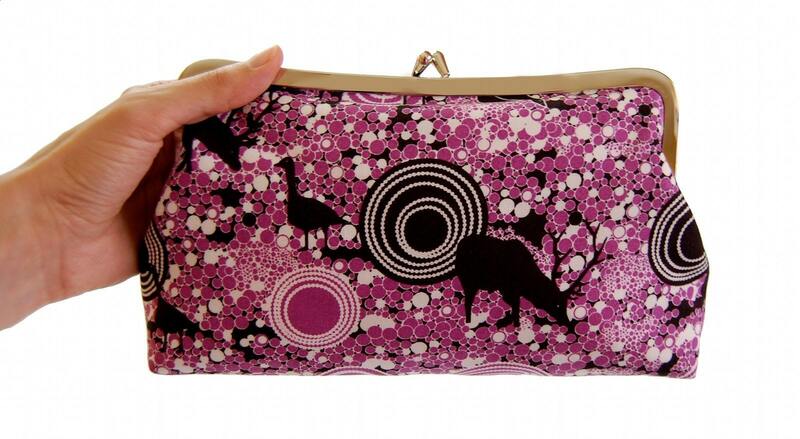 -The small purple handbag has an intricate background of purple, black, and white with forest animals scattered around the animal clutch - the geese, elk, and birds give such a sweet touch to the handmade clutch. -I made the inside of the animal clutch in coordinating black with white polka dots. -The casual bag is the perfect size to carry all your essentials - phone, makeup, credit cards, and keys. It is the perfect everyday clutch! Note: Due to the handmade nature of this woodland animal bag, the placement of the print may vary slightly from the photos ... but it is just as cute!